Does anyone know how can I use the Google Material design in the Aura Components? I have included all the required file like fonts, icons, css and js from the static resource. Uncaught Error: Invalid argument provided to upgrade MDL element. I have also tried using materialize and Angular Material, but nothing worked. 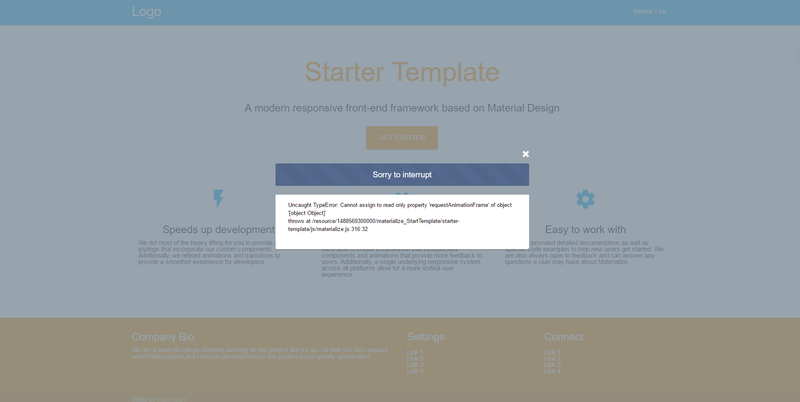 Here is the image of what error it show when i try to use materializecss. Browse other questions tagged lightning-aura-components aura angularjs or ask your own question. Using Polymer for Material Design in VisualForce Pages? jqgrid and lightning aura components integration? window.onload equivalent for aura components?